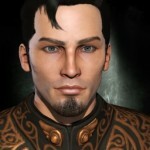 Below is a list of active Eve Online Blogs and their authors (because I love promoting the Eve blogging community). All these blogs are accessible via their latest posts to the left. If you’d like to be on this list of active Eve Bloggers, add a comment below with a link to your blog and make sure you include your Eve character name. My new blog is Outlaw Insouciant, documenting my new Eve adventures which consist mainly of wandering and documenting the journey in a real life, in-character watercolor journal. What’s happened to our old blogs, Black? Gracious, that was a quick reply. Well, namely my own: Echos of Starla, for one. Oh, and sorry, it’s ‘Tanya Spade’ here, if that name helps any. http://t.co/rIn1UpzA4F @Jonnypew are very active. YouTube channels aren’t blogs, so I won’t be listing them here. I’ll be adding blogs with RSS feeds for new posts so that they can be read via the sidebar on the left. you see the gamerchick.net site I added to my first post.